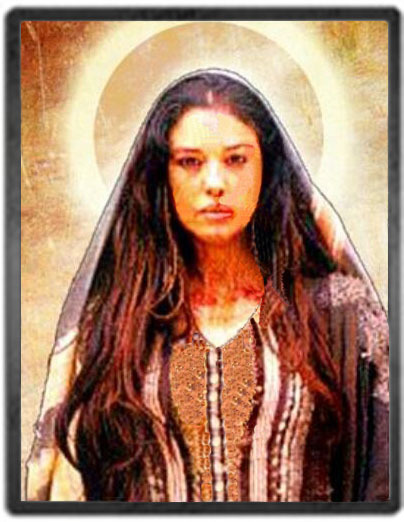 Greetings, Dear One, yes, it is I, Mary Magdalene. Yeshua is here as well. What we wish to bring forward upon this day is the understanding of the new light codes that are being brought forth in the human species. This is of great significance, for so many are having what we call ascension symptoms, and the energy is also causing great anxiety and tremendous fear within some people. It is not to be alarming in any degree, however, the intensity of these new frequencies that are being infused into the human species is quite intense. Many are experiencing the ascension symptoms as headaches, nausea, loss of weight, nervousness, and physical and emotional pain, both in the heart chakra and in the different joints of your physical body. Today, know that we are here to call forth these new light codes so that you may be brought forward into the level of frequency, into the fifth and sixth and seventh dimensional frequencies, holding your frequencies at these levels, in its purest form. So if you so shall, please take a deep inhaling breath, and allow the light to enter into your pineal gland, and allow it to breathe into your pituitary, into your thymus gland, and into your heart chakra. Know that the adjustments for your physicality will be made, so that you will not have any discomfort in your physical body, that the symptoms will begin to abate that you may have been experiencing. So please allow us to gently bring these new light codes into your physicality, into your consciousness, into your pineal, your pituitary, into your thymus, and into your heart chakra, breathing this energy in, and calling the frequency as a new Earth being, as a spiritual being of light, in your full awareness. Please allow this energy to move through you as you open up your heart and feel the joy, feel the joy, feel the joy, feel the joy. Allowing your heart to open, and feel the joy. Opening the energy within the essence of you mind, and allow your heart to open, as you feel the resonance and the presence of this living light, centering within your being. So I ask you to hold the light, now, between your third eye, allowing it to open up your third eye, your clairvoyant eye, your all-seeing eye. Dear Horus and beloved Priestess Isis are here, and they are standing with you, and they are standing beside you. And so please take a deep inhaling breath, and begin to breathe this energy into your physicality, and opening up what we call the chambers that are held within your pineal gland, of the ancient wisdom that you hold there. Opening up the chamber within your pineal, of the ancient wisdom that you hold, tapping in to this frequency and knowing at this time that you are holding this light in its purest form, and you are receiving the vibrational frequency of love, and holding the vibrational frequency of joy, and embodying the frequency of cosmic, divine light into your essence. And so know, at this time, as you are holding this light, and as you are breathing it into your third eye, that you will be able to sense and to feel and to see the energies that are now emerging on the planet at this time. It is of great consequence that you allow yourself to receive this frequency, so your body can now adjust and adapt, as you are living in the world but not of it. You are walking upon this Earthplane as a physical/spiritual being of light, that you are walking upon this Earthplane as a galactic being of light, as you are walking upon this Earthplane as a messenger and angelic being of light. For you all are here by divine purpose, and you are standing in the truth of who you are, and you are free, free to love, free to serve, and free to be. Free to love, free to serve, and free to be. And so hold the energy within your essence and within your divine presence, and feel the joy as you are calling this energy into your physicality, begin to feel the joy. The energy and the essence of joy is truly the totality of all that is, this is the energy of God, this is the frequency, Dearest Ones, that we are asking you to embody, to embody the frequency of God within your physicality, so that you are walking upon this planet with balance and harmony and grace and with ease. And so breathe in this frequency and feel the love. Breathe in the frequency and feel the love. Breathe in the frequency and feel the love. Holding your energy in its purest form, and feeling the essence of joy within your being. So we say to you, Dear Sons and Daughters, that the new vibrations that are being held at this time upon this planet are allowing the souls to now begin to walk gently upon the Earthplane, for Mother Earth is in need of each of you to walk gently upon the Earthplane, in your fullest essence and in your fullest form. Therefore, allowing the energy to merge into your physicality, letting go of all the darkness and the sadness and the pain and the sorrow, and feeling the love, feeling love emanating from your being. Emanating from every pore, every fiber of your being. 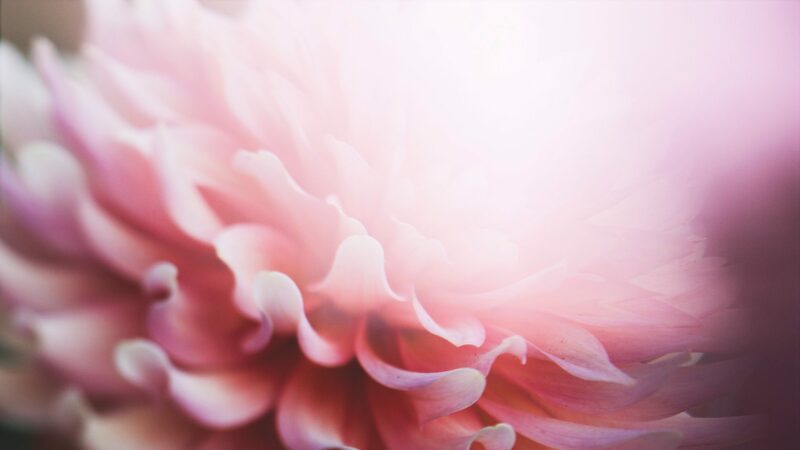 Feeling the love as it moves through your Earth star chakra at the soles of your feet, sending love to Mother Earth, sending love into the crystalline core of Mother Earth, and feeling the light as you enter into this frequency of joy. Today, Dear One, as I symbolize a new beginning, for yes, yesterday on July 22 was my Feast Day, and today, July 23, we are infusing this frequency of my energy of joy into your being, so that you may feel in celebration of the honoring, not only of the sacred feminine, but of the balanced, sacred masculine energy that I indeed hold. And so these are the light codes that are being infused into all souls, calling forth the energy of love and receptivity, compassion and joy, coupled with action, moving forward in strength, calling this energy into your physicality, and being at peace. As so many have honored me on my Feast Day, I come to give to each of you a gift of peace, and a gift of strength, bringing these energies onto all souls who wish to receive. Know, at this time, that the veil that is held over the Earthplane is very thin, and yes indeed, what you experienced, Dear Jared, in Oman, was the thinning of the veil. You have lived in that region before and it is your home. And so you are able to access this frequency between two worlds, as if you are able to see what we call the swing of worlds, the other side of the veil, that holds the frequency of peace and love and harmony. This energy which you experienced in the country of Oman, has allowed you to access the frequency so that you may be able to hold and carry what we are describing today, these powerful frequencies of joy and harmony and balance, into your physicality. Your pineal gland was activated, your pituitary was activated, your thymus was activated, your heart was activated, and you felt this tremendous sense of joy. This, Dear One, is to be brought forward and carried out to the world. Please place your attention at this time in sharing this wisdom, and bringing it out to the world. This literally is happening around the globe. And today, for those who have not had the access can now fully receive this energy on a conscious level, feeling it enter into their being, and strengthening their resolve to carry forward, to move forward. We know, Dear Ones, that these times are difficult, and it is difficult to be in the human body. The struggles are heavy for many, and yet you see the lifting of the veils, the piercing of the frequencies of heaven on Earth, that are now being brought forth into your physicality, will certainly lighten your load, and your bodies will respond, and you will feel at peace. You will feel the joy, you will feel the harmony, you will feel the energy and the essence of all that is. So I thank you for allowing me to bring this forward to you, as it is of grave importance that you receive. I will step back and allow Yeshua to speak at this time. Greetings, my beloved souls, yes it is I, Yeshua. I come to each of you to touch your third eye and to touch your heart chakra, so that the activation can now begin, within your physicality. I touch your thymus gland, to revitalize your life force energy. At this time I ask you to tap your thymus three times, which will activate that gland. Every gland is to be reactivated, so call in the beautiful energy of the elixir of light, call in the higher dimensional frequencies of light codes that are being infused into your system, so your body can be energetic, agile, vibrant, healthy, and return to balance and harmony. And so breathe in the elixir of life, the vital life force energy of the Great Creator. Breathing in the elixir of life, and calming yourself, and knowing that your body is responding to this frequency of love, Divine Cosmic Love. And the new light codes that are now entering into your physicality will allow you to have what we call the reverse of aging, where you become timeless, eternally youthful, and timeless. Your body reverses its aging process, and returns to a youthful and vital frequency that matches your vibration as the powerful spirit that you are. And so take a deep, deep inhaling breath, and once again tap your thymus three times, allowing your body to respond to this frequency, and holding this energy and this essence deep within your soul, as you feel the power and the strength of the truth of who you are. You are the new Earth species, you are the new Earth beings, and this is of great significance and of great importance that you honor this, and you honor the life force energy that lives inside of your being. Honoring the energy of the vital life force energy within your being. Know that today, as you feel this light, that’s held within your heart, when you feel this frequency running through your system, as you are holding the light of the great energy of the Supreme One into your physicality, you are the living God and Goddesses that are here walking this plane, this Earthplane by purpose and design. And just as Jared has witnessed the veil between heaven and Earth, downloading this frequency into his physicality, you are able to feel this excitement and this anticipation within you as well. Go with the understanding that all is in order and all is as it should be, as you feel the presence of God’s love within your being, feel your heart opening and feel the expansion of joy, as you allow your heart to open to peace, allowing your heart to open to peace, feeling the presence of love, and feeling the presence of joy, as your body is responding to love and joy and the excitement and the anticipation, that you are merging into this new Earth being, which creates passion inside of you, and you’re able to manifest and create and move forward with that which you desire. Meaning that you are here on this Earth plane, July 23, 2018, and you are able to manifest and bring forward what you need, as a new Earth species. You are all able to create for your life what you desire, and as a group, you are able to create peace for this planet. You are all coming together collectively and you are able to hold the frequency and the vibration of peace, love, and joy for this planet, and all energies that are not harmonic frequencies will begin to disintegrate and fall away. Those who are not able to hold these frequencies will begin to allow themselves to simply submerge their energies into these frequencies at some level. All who are not able to receive these frequencies will eventually be able to submerge their energies into these frequencies, in due time. But for those who are consciously aware, and those who wish to be a part of the new Earth species, they will consciously choose and say yes, their lives will change dramatically, both mentally, emotionally, physically, energetically, psychologically, your body will now return to its original state of love and peace and joy. And so hold your light, hold your light, hold your light in this powerful frequency of love. Today, as you stand forward into this light, as you stand forward into this love, and as you stand forward into this peace, and as you stand forward into this tranquility, you are able to feel the energy and the essence of love. And so, Dear One, as you feel this frequency, now begin to merge within your soul, may your heart open to the Divine light of love that you are. Each of you are growing in consciousness at a very rapid rate, simply open your heart now to receive. We know that it may be difficult to understand what is happening, but you are being recalibrated, and you are being vibrationally aligned into a higher frequency of beautiful light codes that are aligned to the truth of who you are, as a new Earth species on this planet. It does not matter how young or old you are, or what ailments or infirmities you might have, you are able to transmute them, and you are able to live in perfection of the original state of your spirit, as the beautiful spiritual being that you are. And so, accept this as truth, Dearest One, accept this as truth, accept this as truth. Hold the energy within your being and accept this as truth. Know that as you allow your heart to open, you are feeling this energy of love. As each of you receive it, all of your multi-dimensional selves, your oversoul, and all aspects of your being are being flooded with this frequency, as if your soul has been waiting for this moment in time to heal all of the soul trauma and wounds and disharmonic frequencies that you’ve gone through in this Earthly cycle. Literally, you are being, as they say, born again within your soul. And you are receiving the precious gift of the elixir of life, the vital life force energy from the Supreme One, that allows you to be healthy, strong, free, as you move into this essence and presence of peace. Know, at this time, that you are honoring the love that you are, and it is of great significance and great importance that you love thyself, and allow yourself to receive these new frequencies within your heart, and accepting the gift of life, the elixir of life, the Great Supreme One is offering onto you today. My Mary and I are here to help you receive this, as you are blessed beyond measure to receive. And so we ask you, Dearest Ones, to receive this with an open heart, and trust, as you once again tap your thymus three times, to receive this vital life force energy, and these powerful light codes, you stand in the truth, that you are truly a new physical, spiritual being, a new Earth being that is here on the Earth. Mother Earth is now ascending into the new Earth energy, and you are the new Earth volunteers, you are the new Earth species that are serving her from a place of love and light from your entire soul essence. Go now with the understanding that all is in order and all is as it should be. You are truly, truly, truly divine children of love. We honor you. And now, as we close this energy that is moving through your crown chakra, and entering into your physicality, we place a blue seal of calming energy and the liquid white light of God around you, as you are encased into this frequency as a New Earth Being, moving forward into your life with ease and grace, and knowing again that all is in order, and you are standing in the truth of the powerful Earth being that you are. Go forward, my children, as we honor you, please honor yourself, and you will acknowledge the new Earth beings that are also here, as they are receiving this energy as we speak, more and more will open to receive this frequency. We are honored and we are pleased that you are all willing to ascend with Mother Earth, and assist her in her time of ascension. Go now, my children, and be at peace, and truly know that you are loved.